I write this article at Ben-Gurion airport in Tel Aviv. Soon I will be boarding a plane home after a 12-day trip throughout Israel. 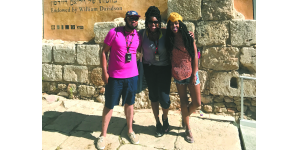 But the trip is hardly the typical trip American Jews take to Israel. 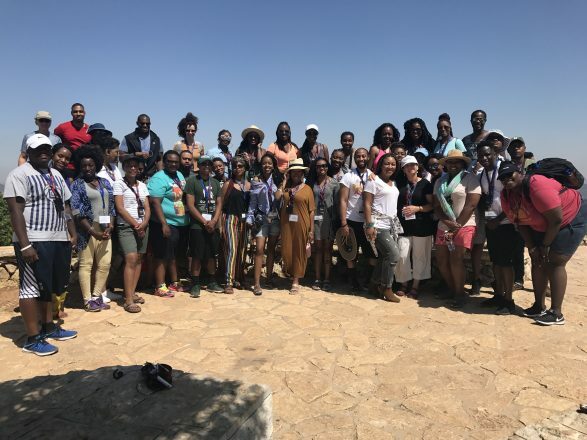 I have been part of the faculty for 80 African American college students who went to Israel to build bridges of understanding between the U.S. and Israel as well as to connect with their Christian biblical roots. I was invited to join the faculty because of my involvement with AIPAC’s “African American Outreach” division. 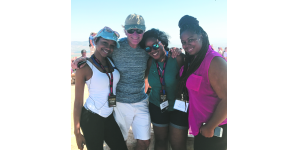 With Passages, my job was to get to know the students and then, when I return, help the organization develop curriculum so the students can stay connected to Israel and Judaism. A tall order, yes, but a privilege and an honor to undertake. I’m a firm believer that Jews must reach out to non-Jews. There are only 15 million of us in a world of 7 billion people, so we had better foster good relations outside of our tiny community. And a strong alliance with African Americans — a people also victimized by unspeakable crimes and injustices throughout history — makes perfect sense. It’s a natural, and I’m proud to do my part. The students are very bright, inquisitive and kind. Each was hand-picked by their pastor as someone likely to be a future leader — a pastor, professional, lawmaker, entrepreneur. Our Israeli guide, Tal Mageed from Jerusalem, and I are the only Jews on the bus. At first, I admit, that was an odd feeling, but that quickly dissipated as I came to know and appreciate each student. Their initial knowledge of Israel (rather, lack of it) reflects the sparse, half-truth bias that often makes its way into America: that Israel is a big, bad, apartheid state with a tenuous claim to its own land. Yes, many believe, Israel has its biblical roots, but its modern-day goodness and right to even exist is debatable. Israel’s “brand” — if we’re really being honest — is badly tarnished, perhaps irrevocably to many non-Jews. So, visits to Israel, exposure to the facts on the ground, face-to-face relationships and constant education are the only ways to address this challenge. 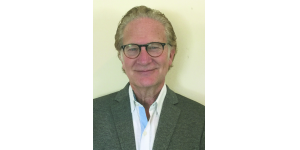 Passages, under the brilliant leadership of Scott Phillips, a former Christian AIPAC staff member who led Christian Outreach there, has carefully crafted a very strategic itinerary. It was heavily Christian at first (Nazareth, Galilee, Stations of the Cross, baptisms in the Jordan River) and then a shift to Jewish experiences (a kibbutz outside of the Gaza Strip, the Golan Heights, Shabbat dinner at the home of an Orthodox family, the Western Wall, Yad Vashem and ending with the singing of “Hatikvah” at Independence Hall, in the very room where Ben-Gurion declared Israel’s statehood). Interspersed throughout the trip was an impressive flow of dynamic speakers: an Israeli peace negotiator, an Orthodox scholar, a Palestinian journalist, an Ethiopian Israeli woman who served in the Knesset, a panel of IDF officers, a startup entrepreneur and a representative of a clinic that treats PTSD. Tal and I are constantly telling the students things they had never heard before and are stunned to learn — that there are Palestinian schools named after suicide bombers, that terror tunnels from Gaza continue to be dug, that when enemy rockets are launched Israelis have between 10 and 15 seconds to find a bomb shelter, that Hamas’ Charter calls for Israel’s destruction, that Hezbollah in Lebanon is now thought to have more than 100,000 rockets threatening Israel, etc. And just as the students are taking all of this in, something terrible happens. While we are in the Old City, there is a fatal stabbing, just minutes from us. A female police officer, just 23, was attacked by three terrorists who were all quickly shot dead. Some in our group even heard the shots. I look up her name and face and see the photo of a beautiful, youthful girl named Hadas Malka. The sadness among the students is palpable; the school lesson is now all too real. We had been noticing young uniformed girls all day, just like Hadas. Some cry over the loss of her young life. For me, it’s like a death in the family. My heart is now officially broken. At the Western Wall, I peel away from the group for some alone time. Anyone who’s been there knows the power of that place and, of course, I am deeply moved. But when I return to the group I see something I never expected — many of the kids are crying, some hysterically. They see me and we tearfully and silently hold onto long hugs. No words are necessary. There were plenty of moments of joy for us on the trip. But it seemed joyful moments were constantly followed by tearful and sad moments, which I guess is the story of Israel. The group sang, along with an Orthodox family at Shabbat dinner, and then sobbed at Yad Vashem. They explored the markets and laughed with people on the streets, and then cried when a kibbutz mother explained that she can only carry two of her children to the bomb shelters when the sirens go off. Joy, and then tears, and then joy, and then tears. The emotional roller coaster of this place is just on a constant loop. As we depart, each person describes what especially touched them. Many mentioned the Ethiopian Jewish woman who described her incredible life experience, from abject poverty in Ethiopia to the Israeli Knesset. She said when she first came to Israel as a child she was shocked to see there was such a thing as white Jews. “What claim do THEY have to Judaism?” she thought. 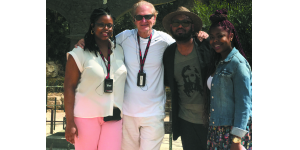 The students have now experienced the real Israel, not the narrative of the media. Firsthand knowledge has replaced preconceived or misconceived notions. They each say they are forever changed, and I believe them. Once again, the Promised Land has delivered. For me, I am happy and sad. I so love this place and get such joy out of seeing first-timers — especially these kids — experience it for themselves. But yet I also experience waves of great sadness when I’m here. Israel lives under an ominous cloud. Its enemies are everywhere; their weapons are getting more sophisticated; anti-Semitism is on the rise; and world support for Israel is waning. We Jews put on a brave face and embrace the future with faith and determination, but who can deny that we face increasingly daunting odds? I see the Israeli kids on the beach in Tel Aviv joyfully playing volleyball. Around them, music is blaring, people are skateboarding, laughing in the cafes, couples are strolling along the waterside, watching a spectacular Mediterranean sunset, seemingly without a care in the world. I think: This is exactly the picture of what this place is supposed to look like. I will take his lead. I am a realist and so I, too, must believe in miracles. 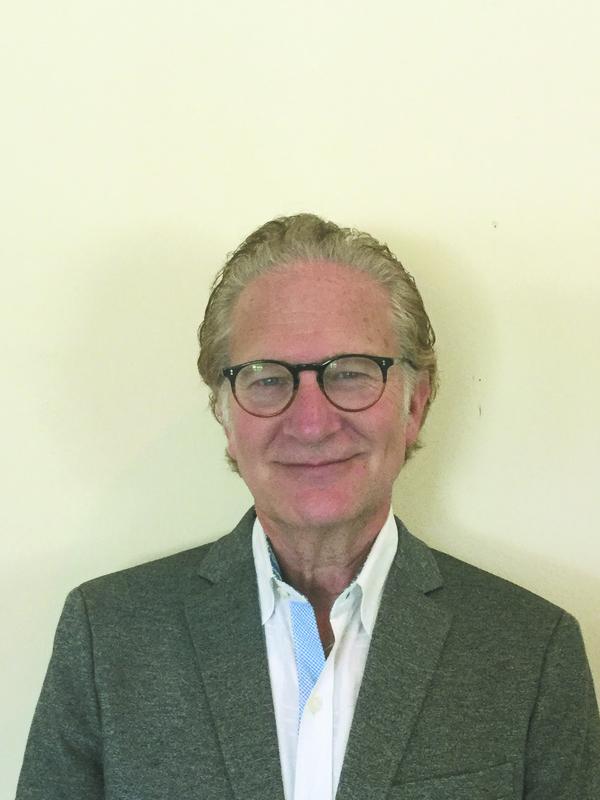 Attorney Mark Jacobs of Farmington Hills is a community activist involved in several nonprofit organizations, including Jewish Family Service, Heart 2 Hart-Detroit and AIPAC, where he is the Michigan director of African American Outreach. ← Detroit, 1967: Riot or Rebellion?